Saying “thank you” with flowers can be an easy, creative, and unexpected way to say “Thank you.” It’s easy for the giver, and it’s always a delight for the recipient. If you’re looking for the perfect flowers to say “thank you,” we have a few suggestions. Whether you want to offer your appreciation to your child’s teacher, a neighbor who house sat for you, or a friend who took care of you when you were ill, you have many beautiful choices for “thank you” flowers to give. 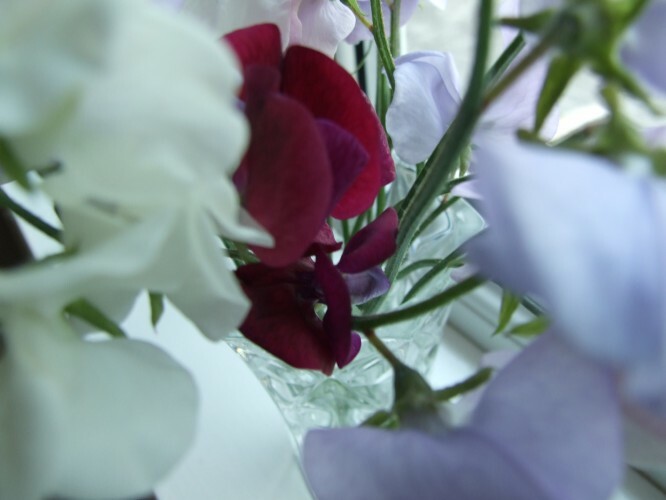 What better way to say “thank you” for doing something sweet than sending sweet peas. Sweet peas can say “thank you” for concert tickets, a job referral, excellent ongoing service, or help with an event. These beauties smell just as sweet and wonderful as they look. Hydrangeas are flowers given to say “thank you for understanding.” They’re ideal to send to someone who has helped you through a tough time physically, emotionally, or financially. These blossoms come in pink, blue, peach, and white. They’re economical if you’re on a budget because you only need one or two blooms to fill up a vase. To say “thank you” to a friend, choose chrysanthemums. These flowers are cheerful and they represent joy. To show how joyful and thankful you are for a special friendship, give these blooms. In addition to the flowers we’ve mentioned, you can say “thank you” by offering bellflowers, irises, or roses. Of course, any flower that you give with your whole heart will be a beautiful sentiment of gratitude.